Peru – April 5th, 1992. Another day to wake up among terrorist killings, economic difficulties and a divided country. The Peruvian President, Alberto Fujimori, was on national television, announcing measures to calm the existent chaos that was hitting the country. The most controversial was when he said he was taking was temporarily closing the congress, due to the incapacity of dealing with the situation the country was facing. The congress, according to him, was acting irresponsibly, weakly, and it was in hands of politicians that obstruct the reforms he wanted to pass in order to end the crisis. It didn’t take long for people to take to the streets, filled with army trucks, stopping them from protesting against the measures taken. Politicians stopped from going into parliament, and even locked into their homes to prevent further disturbs. Newspaper companies watched and threatened by the military to prevent them from publishing against the taken measures. Congress continued to secretly gather and after a few months democracy was instituted again in the country. Fujimori will always be remembered in Peru as the president who not only carried out a “self – coup” but was involved in the biggest corruption scandal in the country, as he fled away to Japan where he resigned presidency by fax. He is now imprisoned at a jail in Lima, paying his debt to the Peruvian people. Even though the measure he took 25 years ago is criticised by some and praised by others, there is no doubt that it was a hit to what the concept of democracy means. He restructured the political scenario to make decisions as one powerful political individual. Nevertheless, this Fujimori situation promoted the creation of a regional measure to prevent this violation of democracy happening again; the Inter – American Democratic Charter was written. Twenty-five years later, Nicolas Maduro, President of Venezuela has attempted a similar measure to Fujimori’s, in the Bolivarian country. The crisis in Venezuela has been ongoing since the death of Hugo Chavez and the electoral chaos that resulted in Maduro’s occupation of power (he was vice-president to Chavez back in the day). The mismanagement of public resources, corruption within the government and some poor thought political and economic measures have resulted in one of the worst food and medicine shortage crises, sub-valuation of their currency and protests nationwide. The political opposition and protesters have been shut down by a series of measures, some violent and unconstitutional. 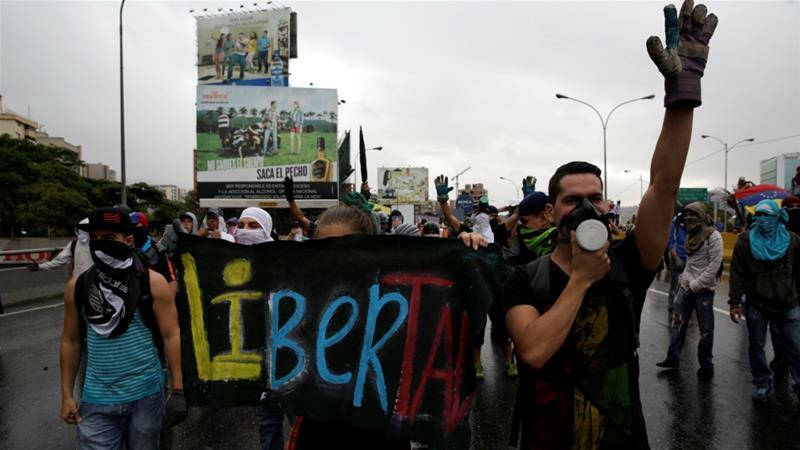 The situation as it is today has been going on for almost four years now, and Maduro is showing no signs of resigning despite both national and international pressure. On Wednesday 29th March, the Supreme Court of Justice in the country – thought to be controlled by Chavez followers – released a sentence that took away the duties and functions of the National Assembly (with a high number of opposition legislators) due to their “disobey to the national order”. It was clear here that Maduro, the person who assigned the SCJ to supporters of his mandate, had been behind this decision. It didn’t take long for the comparisons between Maduro and Fujimori to begin – they had both closed the most representative organ of the government in order to silence the opponents. The difference here lies in the fact that Fujimori had a higher rate of approval to the measure he took – Peru was immersed in violence due to the Shining Path terrorist group moves, and some Peruvians saw his move as the way forward despite the fact that it was a clear blow to the country’s democracy. Unlike Fujimori, Maduro reconsidered the measure due to national and international pressure. The streets of Venezuela have been filled with protests, seeing this as the last and most obvious measure of the authoritarian regime Maduro has been holding. The President of the National Assembly publicly stated they were not going to accept these measures, calling them a coup to the country’s remaining democratic organ. International pressure was high on this one as well, with the Organisation of American States denouncing the situation as a “clear violation of the constitutional order”, approved by 19 countries, showing a higher disapproval attitude from more countries in the region. Individual country measures were also taken; Peru and Chile announced they were withdrawing their Ambassadors from Venezuela, and Argentina called the Venezuelan Ambassador to explain the measures taken. Thus, on Saturday that same week, only four days after, Maduro announced that after a long meeting with the SCJ authorities, he asked to revise the sentence. International pressure has been key in this situation. Fewer governments in the region are accepting these violations of democracy and are perceiving them as something disgraceful for both the stability of the continent, and respect for human rights of all citizens. The application of the Inter-American Democratic Chart has key to convincing the 19 OAS members to vote in favour of condemning Maduro’s game. The pressure that organisations such as the OAS create is higher than ever. But still, a division lies within, with numerous countries still backing Maduro’s regime. Nevertheless, this organisation has become the most active and influential one in Venezuela’s case, and it won’t stop any time soon. However, the OAS needs to be backed by individual countries; with harsh measures from as Peru, Chile and Argentina, they are taking the lead. There is a need for governments throughout the region to stand up and condemn these situations. It is time for politicians in Latin America to stop spectating and stop ignoring the political situation in their neighbouring countries. Individualism in the region has existed for too long, and if the right measures are not taken by influential countries, then the situation in Venezuela has a long way to go. María José Pinto Guillén is a business graduate from Universidad del Pacífico in Lima, Peru. Her interest in international relations and development began from her experience in Model United Nations, which she has now been doing for five years. She attended summer school at LSE on the subject of Development in the International Political Economy and then went to Vienna University of Economics for six months to study social studies. Maria has worked at the British Embassy as an Economic Development intern and at a Financial Inclusion Project focusing on the use of electronic money for low-income areas of Peru. She is currently applying for MPPs. ‹ The future role of the Taliban	› Why is the world hungry?